Actresses have always been an inspiration to women when it comes to beauty and style. We look up to them for the latest fashion, makeup trends, style and much more. But most often than not, what we see on-screen remains on-screen. Barring a few, most actresses fail to make any impression when they step out with their naked faces, without any makeup. Bollywood actress Ileana D’Cruz was born in Mumbai on 1st November 1985 to a Roman Catholic father and a Muslim mother. She’s a 28 year old Christian actress who began acting in the south Indian film industry of Tollywood. Later she entered the world of Bollywood. In the above picture, Ileana has absolutely no makeup on. She does not have great skin, but compared to other Bollywood actresses like Celina Jaitley and Kajol, it’s not bad either. 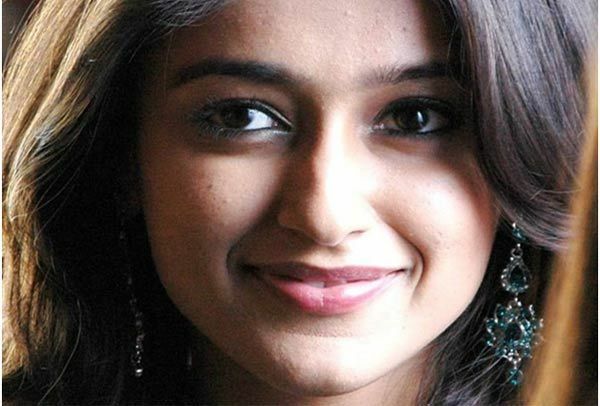 Here is another picture of Ileana D’Cruz without makeup, her dark circles and under-eye bags are extremely prominent. It’s true that the right kind of makeup can transform anyone into a beauty diva. Here, Ileana has not used any primer. You can clearly see the texture of her skin, the pores and the deep pitted spots on her cheeks. In this image, her forehead looks patchy and uneven, compared to the rest of her face. Also there are some dark spots on her left cheek. Again, Ileana’s eye bags and dark circles look very pronounced. Is it lack of sleep or lack of makeup? In this picture, Ileana D’Cruz has very smartly covered her non made up eyes with dark glasses. In fact, this is a common trick used by most actresses when they decide to step out without makeup, especially bare eyes. Here Ileana D’Cruz is seen wearing minimal makeup. It looks as if she has used only a light base makeup. However she seems to have given the concealer near her eyes a miss. Ileana is only wearing a lip stain in the above picture. There are some minor blemishes, but she still looks good. Here Ileana is wearing green cat eye lenses. She is seen without any makeup. Some breakouts are visible on her cheeks and forehead. Ileana’s skin does look flawless in this picture, even without any makeup. Surprisingly, here her skin texture looks quite smooth. Actresses do not have perfect skin. Many people do believe that actresses are born with flawless skin and stay that way. But the reality is that actresses know how to smartly use their makeup, and that’s how you see those glamorous looks time and again. Plastic surgery, fillers, botox, peels, skin bleaching and laser are some of the cosmetic treatments which help enhance their looks. Next articleHow To Apply Bridal Eye Makeup Perfectly?